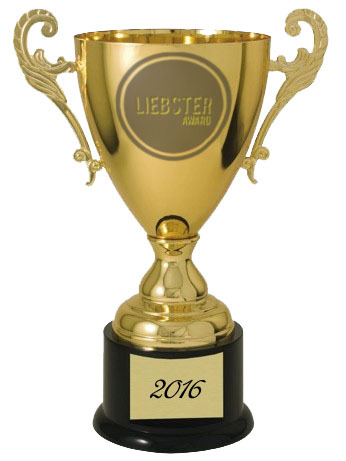 I am honoured that Susan Leighton of Woman on a Ledge has nominated me for a Liebster Award. Susan blogs about life and does so in an honest way which makes for refreshing reading. It soon feels like you're chatting away to an old friend. I am happy to accept this token of appreciation. One of the requirements for all nominees is to write a short essay on their favorite blog. Well I'm going to write about a guy named Stu. 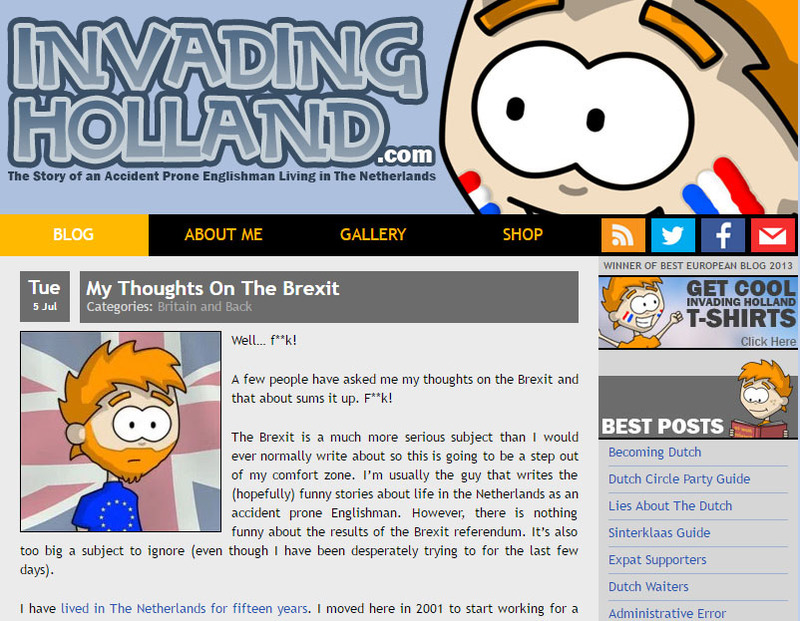 Stu writes a blog about his life as an Englishman living in Holland and how his life has adapted to the customs and culture there. Why have I picked him? Because he's an excellent cartoonist too and it was him that inspired me it start drawing cartoons again and use them in my blog. Sadly his blog posts are a little sporadic these days as he juggles family and professional life with a bit of live improv. He's still an entertaining read and I love his (cartoon) work. You can find his blog at InvadingHolland.com. Then I have to nominate my own choice for an award. This is a difficult choice since all the blogs I read and/or comment on are excellent for their own reasons. I'm supposed to choose blogs with less than 200 followers but I'm not going to go about asking for that information, I've taken a guess based on what I've observed on their pages. Military Wife and Pug Life - 'MiliWifey' is pug loving, Marvel maniac and (obviously) military wife who loves to recap really bad movies. Life From a Seated Perspective - Mark Rankin is a fellow Yorkshireman and writes about the challenges of his life being wheelchair bound. Cat Hair and Glitter - Holly writes about her life in Kentucky (not the chicken shop) as a mother and potential cat lady (she has 6 cats and 2 dogs!). Not Meatloaf Again - I first came across 'Chocolat Lover' when I used to follow her husband James' blog. She writes about their lives with young daughter Evie. Yet Another Coffee to Go - Retired life in North Wales with Eileen. She writes about life with her husband and her dogs. A: Lake Ullswater in the Lake District. I did an outward bound course there when I was 16 and it had a profound effect on my life. A: Mr Robot - blog post coming soon! Q: Give a tip for other bloggers or potential blog starters. A: Be yourself, that's all it takes. Q: If you had to choose between living with TV or music, which one would you choose? A: I'd choose TV over music anyway. Music isn't a massive part of my life. A: It has to be my wife, Morticia. She pushes me through my doubt and encourages me to be the best version of me. Q: If you could travel back in time, what year would you visit and why? A: I'd love to be a time traveler and be an observer of history. I'd love to see my home city back at the turn of the 19th to the 20th century. Q: The gun or the cannoli? A: Don't really understand the question. Don't like guns, we don't really have them in the UK. Cannoli? Had to Google it and it's got cheese in it. Yuk! Is this some sort of American question? A: My favourite author is probably Peter David, the best Star Trek novel writer out there (in my opinion). Q: What is the last movie you saw? A: I assume this is referring to the cinema? The last film I saw at the cinema was Star Trek Beyond. To the people that I nominated, if you choose to accept, please read the rules from the original post (link is at the top of this post). If you were a time traveler, would you go forwards or backwards? What is your idea of a great evening? What scares you, I mean really scares you? If you were a cartoon character which one would you be? If you won the lottery (or came into a large sum of money) what would you go out and buy first? When you're in the car alone (if you don't drive then think of a similar circumstance where you're alone with a radio) what would you turn the radio on to? There it is, anyone else want to answer these questions please put your responses in the comments.